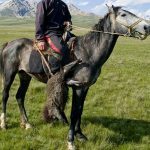 The Novokirghiz Horse (pronounced as ‘No-Vo-kEr-giz’) is a relatively new breed of equines that originated in Kirghizstan. 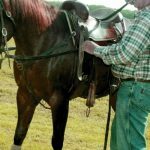 Developed as a modified version of the old breed of horses from which they developed, these equines served the local Kirghizians in a lot many ways, including agricultural work and general riding. 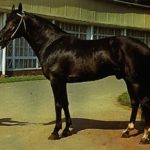 They are known for their light gaits, fast pace, and noble attitude. This is not an endangered breed, and the population at present is stable. 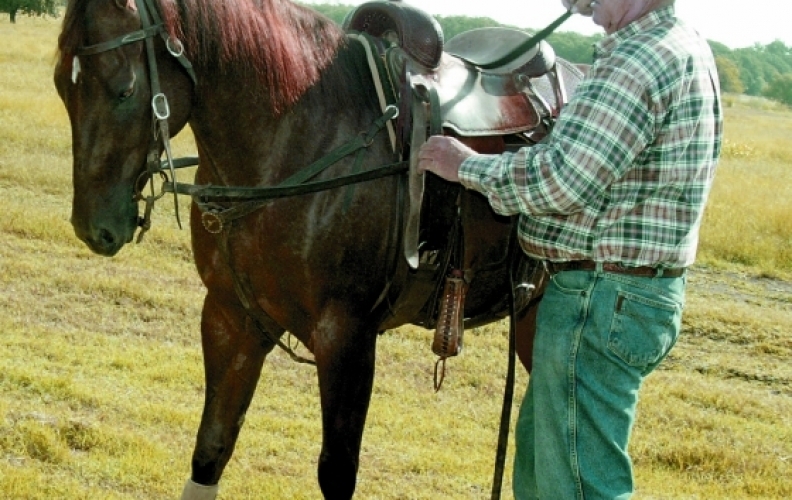 Feeding/Diet Normal daily horse diet including hay, grass, grains, etc. 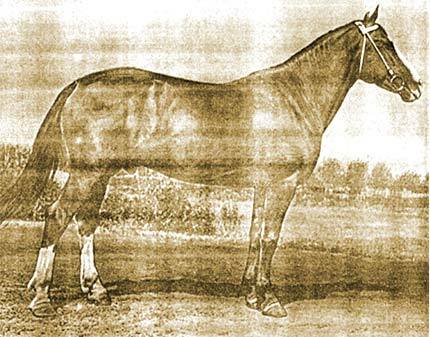 The Novokirghiz Horses had evolved from the Old Kirghiz breed, and proved to be a lighter, faster and more polished stock primarily because of the presence of the presence of the blood of the Don horse, the English Thoroughbred, and half-bred Anglo/Don blood, which were crossed with the Old Kirghiz horses. Originating in the 1930’s in Kirghizia, this is a relatively recent breed. 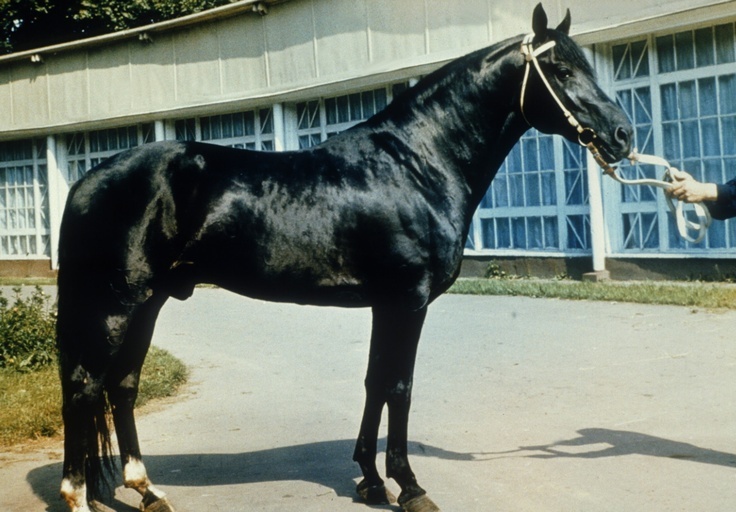 It all started back in 1918, when 48 Thoroughbreds were introduced to Kirghizia’s Issyk-Kul stud. 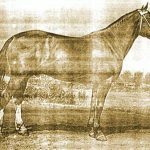 This lot was made to breed with the mares of the Old Kirghiz stock, with the breed being established between the 1930s and the ‘40s. Before the introduction of the new Novokirghiz, the Old Kirghiz was mainly common in and around the region. 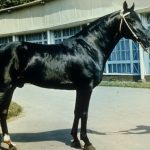 The Old Kirghiz breed, in turn, had originated from the stock of Mongolian equines in the mountainous regions of Kirghizia and Kazakhstan. The ‘basic’ and the ‘saddle’ varieties were not much suitable to the climate of the mountaineous regions, and hence, failed in holding their stamina, present in the ‘massive’ variety. Since its introduction, the Novokirghiz stock largely replaced the Old Kirghiz variety. 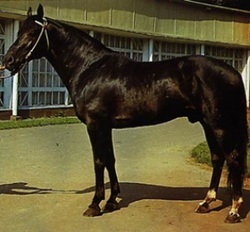 However, infertility is often seen in the mares, a trait attributed to too much interfusion of the Thoroughbred blood. 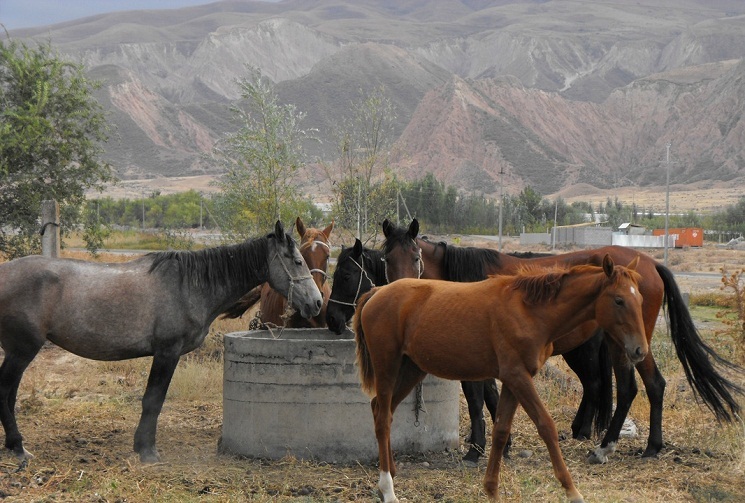 The Novokirghiz mares are often used for the production of milk, which the Kirghizstani people would ferment to make ‘kumis’, a major staple diet of the locals. 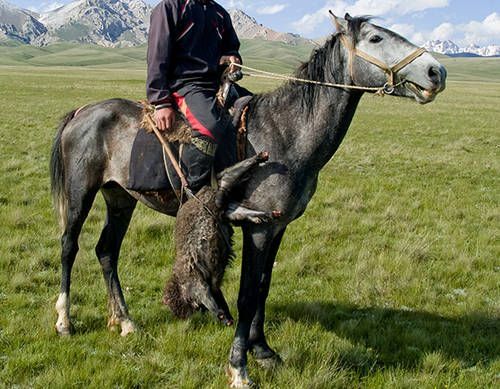 On a daily basis, a single female Novokirghiz horse is able to produce up to 20 kg of milk. 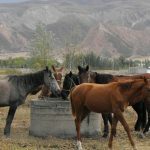 At present, the population count of the Novokirghiz horse (including stallions/studs, mares and colts) is 56,650, out of which 10,700 individuals are purebreds.